Libertarian Party Nominee Gary Johnson now on Ballot in 47 States. Romney Spoiler Scenario? Libertarian Party Nominee Gary Johnson on Ballot in 47 States. Note to the Romney campaign: Ron Paul may be fading from view, but Paul supporters and libertarian-leaning Republicans have another option in November’s election. 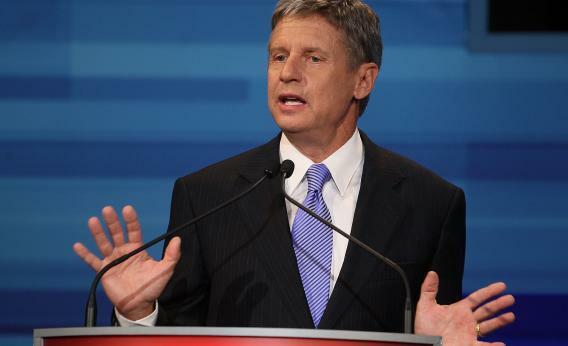 The Libertarian Party says its nominee for president, former New Mexico Gov. Gary Johnson, will be on the ballot in 47 states. And there are court challenges pending to decide if Johnson will appear in three others: Michigan, Oklahoma, and Pennsylvania. A recent CNN poll puts Johnson at just 4 percent nationally. But he’s polling at 7 percent in both Colorado and Nevada, and could be a spoiler to Mitt Romney in those two key swing states. Though he may pull some votes from President Obama with his views on marijuana legalization and gay marriage, Johnson has most appeal with voters who identify as very conservative, tea partyers, and Ron Paul supporters, who would otherwise vote Republican. The Obama campaign and Democrats are no doubt hoping that Johnson will be the Ralph Nader of 2012, siphoning votes in a razor thin election. That is, if they dare to conjure those painful memories of Al Gore’s defeat in 2000.